You have learned many techniques for graphing linear equations that are written in slope intercept form! Yes... if the equation is already written in slope intercept form, graphing is pretty easy! However, sometimes you will see equations that are written in standard form. Where A and B are coefficients and C is a constant. If the equation is presented in standard form, then you are not able to identify the slope and y-intercept that are needed for graphing. 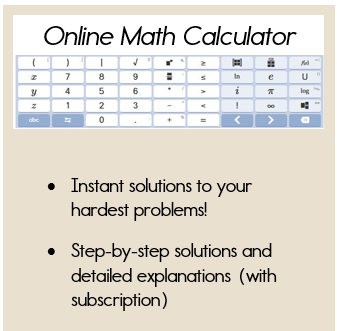 There are actually two different techniques that you can use for graphing linear equations that are written in standard form. You can use either method, so I'm going to demonstrate both methods and you may come to favor one over the other. 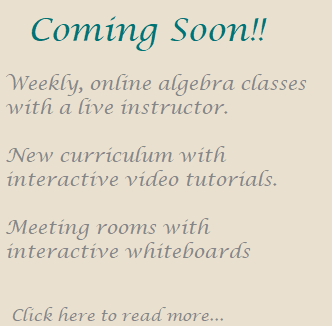 In this particular lesson, we are going to study how to convert the standard form equation into an equation written in slope intercept form. Let's get started! If you have a standard form equation, you can rewrite it in slope intercept form. Let's look at a couple of examples. Your goal when rewriting a standard form equation in slope intercept form is to rewrite the equation so that it reads y = mx + b. You will need to use your knowledge of solving equations. Remember to use opposite operations and whatever you do to one side of the equation, you must do to the other side. Let's rewrite 4x - 6y = 12 in slope intercept form so that we can easily graph the equation. Notice how graphing is pretty easy once it's written in slope intercept form. 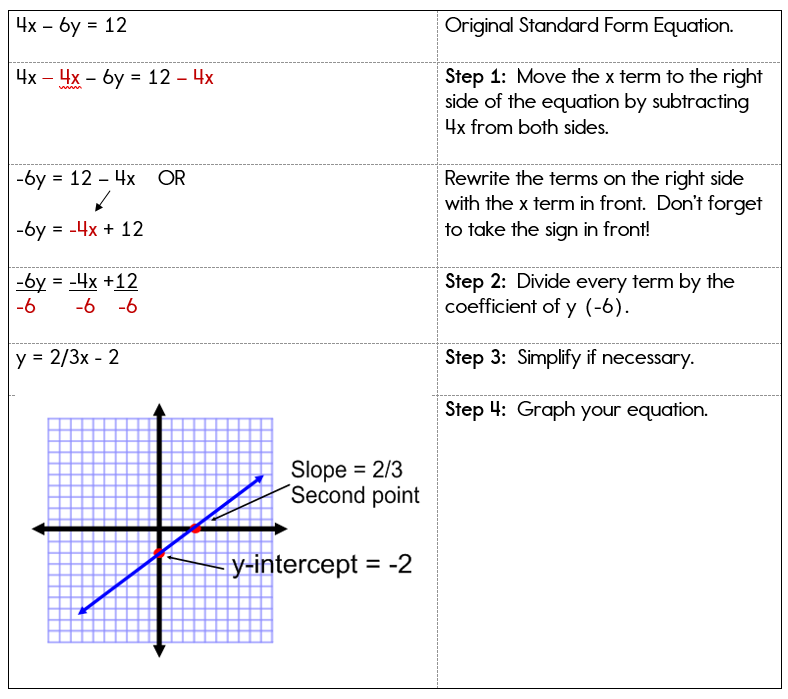 Standard form equations can always be rewritten in slope intercept form. Make sure you solve the equation for y, and that's it! Graph the equation 2x + 8y = -24. This shouldn't be too hard, since you've already mastered the skills for solving equations and the skills for graphing in slope intercept form. 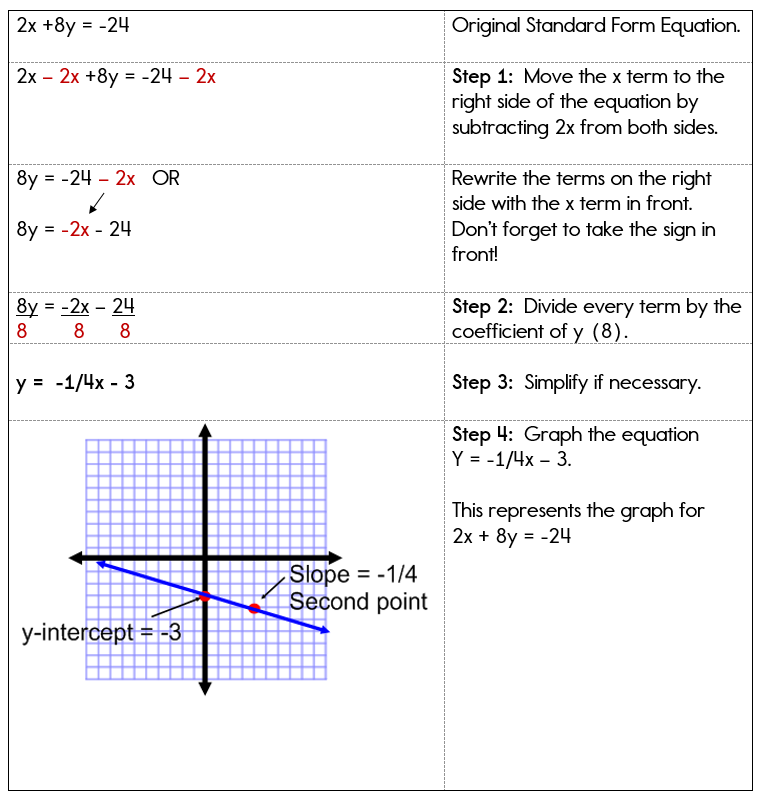 You now know how to graph equations that are written in slope intercept form and standard form. In the next lesson, you will learn how to graph standard form equations using x and y intercepts.